Super Techno Arts Studio A.P.P.P. The above info came from atomofish, and was edited by yours truly (contact me). The image came from bro-usa.com. 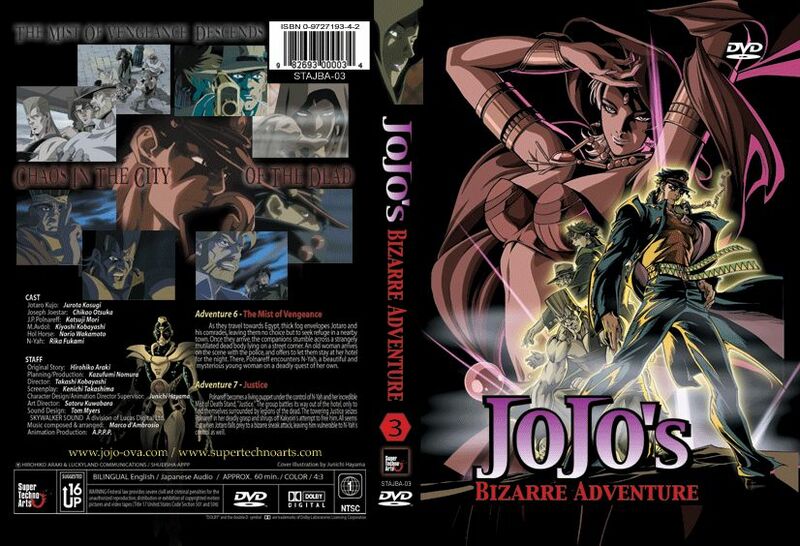 Jotaru Kujo is a regular Japanese High School student, until he believes he is posessed by a spirit and locks himself up in a prison. After experiencing a fight between his grandfather Joseph Joestar and his rival Muhummad Advol, he learns the spirit is known as a "Stand," which is fighting energy converted to a physical form. 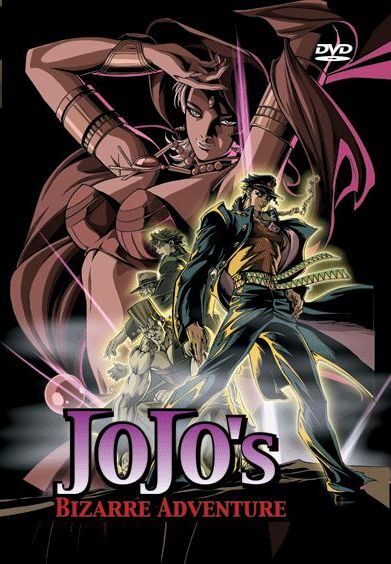 Jotaru learns of his destiny to defeat the vampire known as Dio, who is an enemy of Joseph and has his own sinister plans that originated with Joseph. Jotaru and his allies band together and travel to Egypt for a final duel with Dio.